Bowflex and NordicTrack are two popular brands when it comes to elliptical trainers. 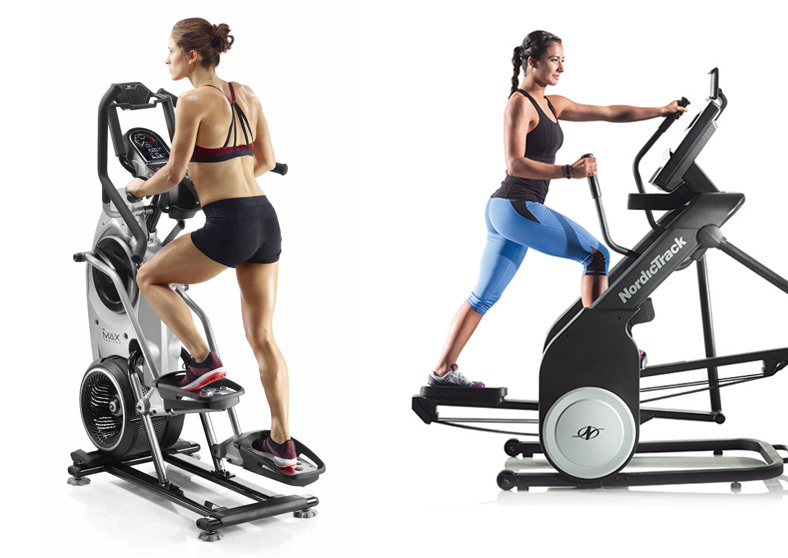 Bowflex Max Trainer M7(Now M8) and NordicTrack FreeStride Trainer FS7i are the prominent names from each brand respectively. 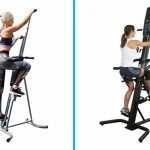 If you are in the market to buy a quality elliptical trainer but cannot decide which one is best for you, don’t worry; we have got you covered. This article compares the two models in detail so you can make an educated decision depending on your specific preferences. 3 How the Bowflex Max M7 and NordicTrack Trainer FS7i Works? 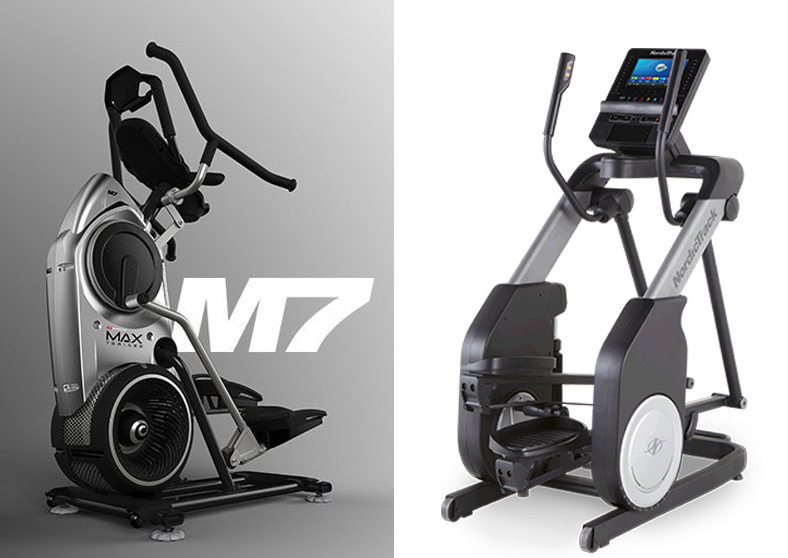 7 Should I Buy the Max Trainer M7 or Trainer FS7i? 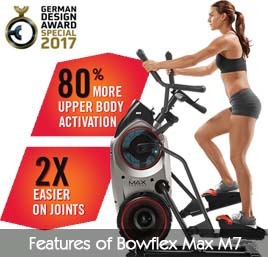 Max Trainer M7(M8 is the new M7) offers you a Zero Impact workout, targeting the lower parts of your body fast without putting the strain on your joints. With Zero Impact feature, you get a full body workout so not only will you be using your legs, but your arms too. Max Trainer M7 engages your upper body more than most other ellipticals available on the market. The workout it offers is really intense and harder than it looks, making this elliptical perfect for fitness enthusiasts. M7 is the trainer you need if you want to burn calories fast as well as build muscle and endurance. 11 preset workout programs allowing to choose a workout plan that fits with your fitness goals. The Bowflex Max Trainer M7 is considered as one of the higher end elliptical trainers that are available in the market compared to others such as Schwinn A40 and 470. Perhaps the best thing about this equipment is that despite its lightweight, it can still provide an adequate workout to different kinds of fitness enthusiasts via its11 preset workout programs and 20 resistance levels. One of the primary things that set NordicTrack FS7i apart from other ellipticals is its variable motion system. FS7i provides a full range of motion that other typical ellipticals, treadmills, and stair steppers cannot offer. So with this elliptical, you are not held back by the limits that an average elliptical would set. Because of this unique and beneficial feature of FS7i, you get the most out of your workout because it allows you to change up your routine according to your specific needs and you don’t have to force your body to grow used to a preset workout. The two elliptical trainers are both made by reliable brands and each has its own benefits. Whether the differences between the two elliptical trainers make one superior to the other, it is best to take a closer look at their similarities and differences to make a sound and informed buying decisions. Total Weight 148 lbs. 375 lbs. How the Bowflex Max M7 and NordicTrack Trainer FS7i Works? Bowflex Max Trainer M7 has been designed for interval training where you engage in an intense workout for a specific interval and then take some time to rest, and then do it all over again. By allowing you to engage in high-intensity interval workouts, Max Trainer M7 increases your heart rate quickly and then brings it back down with periods of rest. As a result, the elliptical gives a fantastic workout when you engage over a 14-minute period. The effects of high-intensity workout stay for a long time and you continue to burn calories even after the workout. Most other ellipticals have a front or rear wheel pedals that move along a preset trajectory that doesn’t change. Some specific models have an incline system, allowing them to change the trajectory with the incline. FreeStride Trainer FS7i does not work this way. Of course, you can change the stride on this trainer, but not by turning a knob or pushing a button. With FS7i, you use your muscles to control the stride path. It may feel strange at first, but once you get used to it, you will realize that this is a far superior system. By moving your arms and legs in a specific way, you can change the trajectory and alter the ellipse from steep, short, steps like a stair stepper, to long, flat strides. This is how FS7i works by allowing you to change your workout intensity by ‘feel’ alone. Bowflex Max M7 features 11 preset workout programs, allowing you to choose a workout that aligns with your fitness objective. These workout programs are split into two sections: Target Mode and Performance Mode. NordicTrack is known to offer relatively more workout programs than other ellipticals and FS7i is no exception. It features 35 workout programs that range from beginner to pro levels. M7 features a fully functional backlit screen display. It allows you to monitor many statistics of your workout and physical health. The ‘Burn Rate’ monitoring is a unique feature of M7 that displays the precise amount of calories you burn during your workout. FS7i features a colorful 7-inch web-enabled display that not only shows different workout stats but also allows you to go online to participate in social networking, check email, and browse your favorite websites. All during your workout. M7 features 20 resistance levels that are computer-controlled. You can find resistance controls in the console and handlebars. FS7i, on the other hand, offers 4 more resistance levels than M7. Its 24 resistance levels allow for precision progress more quickly. 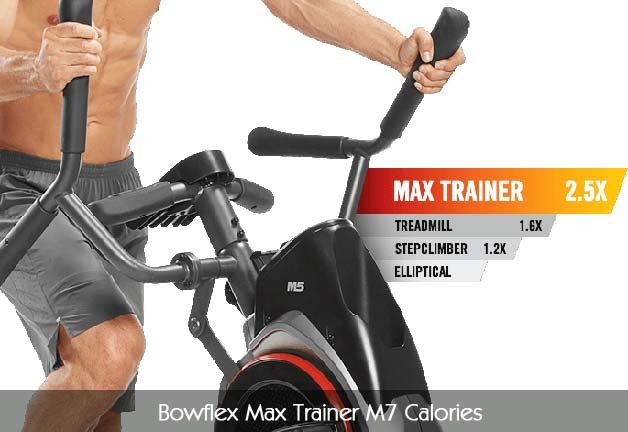 Partially due to the moving armbars and zero impact design, Bowflex Max Trainer M7 allows you to burn calories faster than most other trainers, including FS7i. According to Bowflex, you can burn calories at about 2.5 faster rates. FS7i isn’t very far behind when it comes to calories burning. However, there are no official test results available for this model. Bowflex trainers are known for their compact designs. The footprint of M7 is 46” L x 29.5” W which takes very small space. Furthermore, the trainer weighs only 148 pounds, so moving it isn’t a problem either. FS7i, on the other hand, is a relatively heavy elliptical trainer and weighs 375 pounds. It also takes more space. Its footprint is 68.4” L x 28.5” W.
You can order a M7(M8) right here. Zero Impact, high-intensity workout results in 2.5x more calorie burn rate than an average elliptical. Connect your smartphone to the elliptical via Bluetooth and have full control via the Max Trainer app. 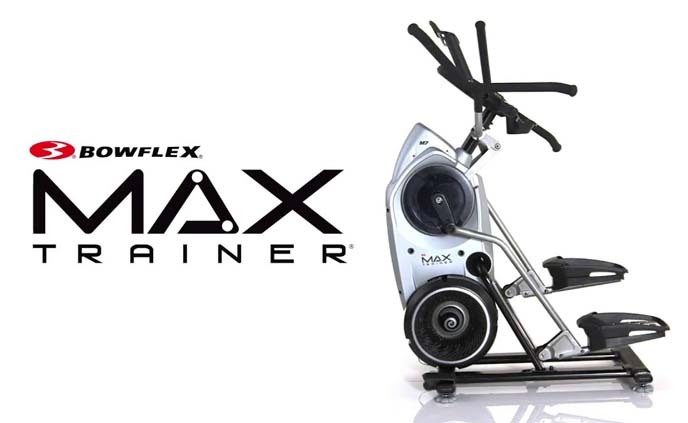 Max Trainer M7 gives you an excellent upper body workout, allowing you to burn calories fast. A wide range of resistance levels (up to 20) so you can work your way up to achieve your fitness goal. 11 preset workout programs to choose from. Compact design takes less space. You can store it in most places easily. Assembly of Max Trainer M7 is a bit challenging and may take up more than an hour if you are unfamiliar with it. Relatively expensive. But you can choose Max Trainer M3. Although there are lower resistance levels, some individuals may find M7 to be too difficult. We will hold our own personal judgment to give an unbiased review of which elliptical trainers you ought to get. Thus, we have compiled several things to be considered before you finally decide to get either one of these elliptical trainers. Q1: Which one is good for interval training? 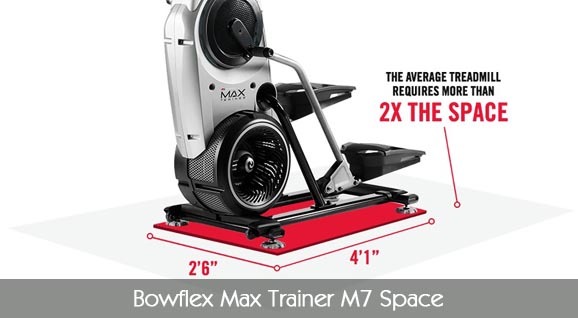 If you like engaging in an intense workout at intervals, then the Bowflex Max Trainer M7 is your best option. This elliptical trainer can increase your heart rate twice faster so that you can burn more calories in a given time. In fact, you can get good results even by just working out for 14 minutes using this elliptical trainer. Q2: Which elliptical trainer offers varied movements? One of the limitations of working out using an elliptical trainer is that the upper parts of the body do not get enough exercise. If you want an exercise machine that will also allow you to move your arms so that you can also give them a workout, then the FS7 is your best option. Because of its varied motion system, you can change the trajectory of the elliptical trainer, so you can alter your steps from long strides to short steps mimicking climbing the stairs. Q3: Which elliptical trainer is good for a novice like me? If you are a novice workout enthusiast, it will benefit you more if you get an elliptical trainer that can offer intense workout at a shorter span of time so that you can adjust your pace. The M7 can make you burn calories faster in such a shorter time. And since it is a zero-impact elliptical trainer, it is not only good for novice fitness enthusiasts who want to see results but also to those in the advanced age who want to keep up with their own fitness levels. Q4: Which is a cheaper option? The Bowflex Max Trainer M7 clearly has a better price point advantage as it is cheaper than the NordicTrack FreeStride FS7i for a few hundred dollars. The reason with this is that the Max Trainer has very straightforward features compared with the NordicTrack. 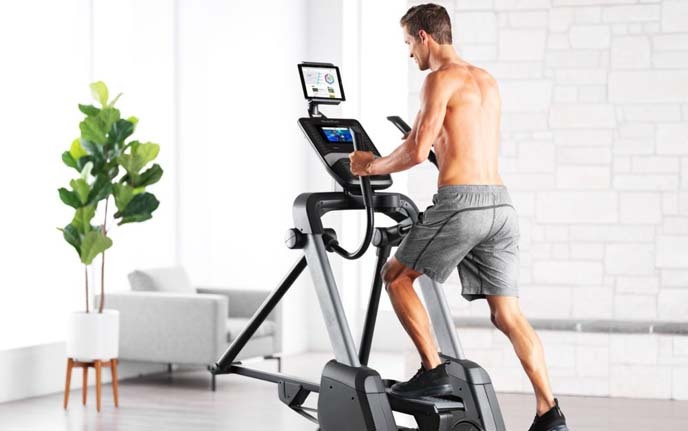 The NordicTrack FS7i has a lot of fancy features that may have contributed to its higher price point but if you opt for an elliptical trainer that will give more value for your money, then you should go for it. But if you would rather have a simple and straightforward elliptical trainer, then you can stick by the M7 and still be happy with your purchase. Q5: What do the reviews say? All the Max Trainers have 4.6-star reviews and higher. You really can’t go wrong here. The newest product line, M8(M7) has the highest rating at nearly 5 stars. Should I Buy the Max Trainer M7 or Trainer FS7i? You are a fitness enthusiast and looking for high intensity, serious workout. You are looking for a zero impact elliptical that offers an intense workout and burns relatively more calories. You are looking for an elliptical for strength training and want to get in shape fast. You want one of the best ellipticals available on the market and don’t mind the expensive price tag. You are seeking low-impact trainer with moderate strength training. You are interested in an elliptical that targets many muscle groups effectively. You plan to take advantage of iFit Coach for personal training and want a trainer that fully supports it. Bowflex Max Trainer M7 is clearly one of the strongest ellipticals available on the market that is worth the money. It’s zero impact, takes less space, and easier to move due to being lightweight. All in all, M7 is a great investment that’s sure to have a huge payoff in the long run. 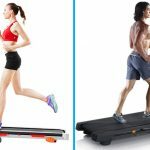 While NordicTrack FreeStride Trainer FS7i offers relatively more features than Bowflex M7, it is quite expensive and may not attract individuals who don’t care about fancy features and are simply looking for low impact workout. It is also relatively heavier and takes up more space. In the long run, FS7i offers less value for money as compared to M7.